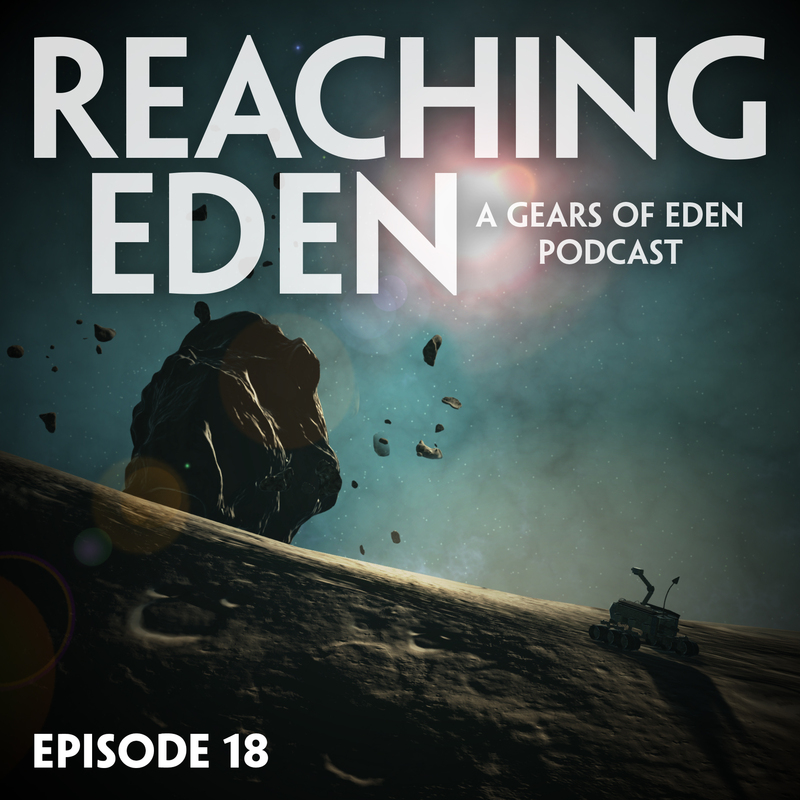 This is a special episode of Reaching Eden, the podcast from the dev team behind indie space game, Gears of Eden. This week we have our second ever guest on the podcast, and it’s the super cool gamedev behind Pinstripe and Once Upon A Coma from Atmos Games, Thomas Brush! We have a great discussion with Thomas on game development, audience building, the challenges of running a Kickstarter and getting back the basics of why we want to develop games. We think you’ll find it full of helpful insights, information, and meaningful anecdotes. Of course, we also cover Gears of Eden updates, which this week includes our Alpha 1.5 launch! Visit our changelog and early access page to find all the details you need about our latest alpha release! We also tease some upcoming Twitch events, so follow us on Twitch for notifications and updates! For inspiration, we turn to Space-X again and their latest attempt to catch a rocket fairing on a boat! Somehow, we follow that up with a discussion on J.R.R. Tolkien, C.S. Lewis, and tap dancing. Hey, we always say inspiration can come from anywhere, right? This week, our games played includes GoE Alpha 1.5, Dragon Age: Origins, and Celeste! Enjoy the podcast, leave a review, and please get in touch and let us know you’re listening (and what you think)!